Operation Got Your 6 is a go! 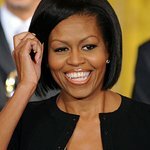 First Lady Michelle Obama sends the Penguins of Madagascar on a top-secret mission to debunk the myths and show the truth about America’s returning veterans. A very special thanks to DreamWorks Animation and Joining Forces for making this video possible.